Like the headline says, what if I could absolutely, positively guarantee you would never ever suffer a dead battery again? Left the lights on all night? No problem. Hell, leave them on for a month and you’ll still be able to start your vehicle, no booster cables needed. Forgot to turn the dome light off after you were looking for the phone that fell between the seat cushions? No worries, the battery will be fine in the morning. Even that garage queen you keep stored in your tricked out, epoxy-floor man’s den the whole winter will never succumb to the dreaded dead battery syndrome. Even if — and here I’m talking to the real car geeks — there are parasitic losses that tend to drain the battery when the ignition is off, you have no worries; it’ll start up as if it’s been on trickle-charge the whole time. Nothing — at least nothing I can think of — will ever leave you stranded without enough electrons to turn over your motor. 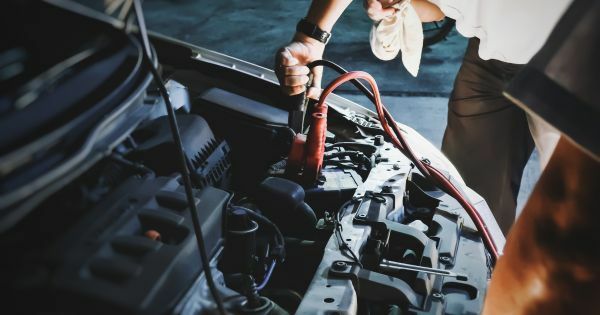 For those of us who have suffered a dead battery — and that is likely most everyone reading this column — this sounds way too good to be true. To drive with anything approaching regularity is to know the sinking feeling of hitting the starter button and being greeted with the clickety-click of a battery without enough juice to power the starter motor. In fact, there are entire industries built around the seeming inevitability of the totally discharged battery. Pretty much everyone has a set of jumper cables. More than a few of us have battery chargers. Now there are even mini batteries meant to boost your car battery (as well as charge your cellphone). And where would the CAA, AAA and other such roadside assistance programs be without us, the idiots who forgot to turn off the turn signal on our Porsche? Full Spectrum’s IPT stops the battery from ever discharging below 12.9 volts. They all could be obsolete — yes, even the CAA, if there isn’t a sudden uptick in flat tires — if Full Spectrum has its way. The company, based in Alexandria, Virginia, has designed something called Intelligent Pulse Technology (IPT), which simply prevents the battery from ever discharging. Essentially a microchip built into every Full Spectrum battery, IPT stops the battery from ever discharging below 12.9 volts, so it can never be run flat (again, for the geeks, it has a low voltage lockout that disconnects the battery from the rest of the car). The ignition switch may be on, but the battery won’t know it. For all intents and purposes, the IPT circuit has disconnected the battery cables, removed the battery from your vehicle and stored it back home in your garage, where your idiot self can do it no harm. Now, here’s the best part. After the initial shock of your idiocy wears off, all you have to do to set off on your way again is uncover your battery, push the little IPT reset button and your battery is reactivated with plenty of power left to turn over your engine. No muss, no fuss, no battery cables needed. Full Spectrum has truly developed the foolproof battery. ‘No,’ you’re thinking. ‘This is impossible. It sounds far too good to be true. There must be a catch to all of this. Indeed there is. Two, actually. The first is all Full Spectrum batteries are lithium-ion, which you know, if you’ve been following electric vehicles at all, aren’t exactly cheap. Nonetheless, it’s natural — almost inevitable — that someone would develop something like IPT technology for lithium-ion batteries. First, there’s the fact that lithium-ion batteries need constant monitoring to ensure that the individual cells are in constant balance. Indeed, the miracle of Tesla technology isn’t the magic of its cell chemistry — a Model S’ battery is made up of a bunch of Panasonic laptop batteries bundled together — but that its microelectronics can monitor 7,000 individual little batteries effectively and simultaneously. The bigger issue, for those looking to go out and buy this incredible perpetual electron machine, is that so far, Full Spectrum only makes motorcycle batteries. Yes, if you’re a big bad biker, you can buy one of these miracle batteries for pretty much any machine. If you own a car, well, you know the kind of luck you’re out of. That Full Spectrum attacked the two-wheel market first makes sense: Lithium-ion’s main advantage, its ultra-light weight, is more beneficial to a motorcycle than to even the sleekest of sports cars. Although lithium-ion batteries are a rarity in the auto world, limited to a few Porsches — and even then only as an option — they’re fairly common in the motorcycle aftermarket, especially in lightweight sportbikes, and paradoxically, in big-buck customs (where their small size allows them to be hidden in a chopper’s minimal bodywork). As for the migration to the auto industry’s mainstream, Li-ion’s high cost — there’s not much of a mainstream market for $750, even $500, batteries — has prevented the kind of penetration seen in the bike segment. All that said, the benefits — especially the ability to prevent accidental discharge — are too numerous to be relegated to the backwaters of the motorcycle industry for long. Levitt himself understands that the auto industry is really the only road to substantial growth and he is already developing car-sized batteries with IPT technology. At least one company, Antigravity, sells a car battery with “Re-Start” technology aimed at high-end exotic sports cars. As for Full Spectrum, its first OEM battery, according to Levitt, will be for Lamborghini. Like all technology initially developed for the luxury segment, however, it’s almost assured these failsafe batteries will eventually trickle down to rest of us. The days of the flat battery, as I promised, are definitely numbered.